There's a great post on Atlas Obscura about the women who ran the The Pack Horse Library, one of the initiatives created as part of President Franklin Roosevelt’s Works Progress Administration. 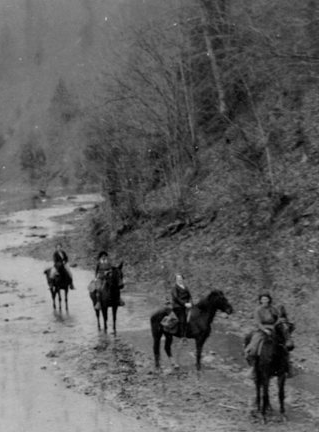 The Pack Horse Library was an organization of (overwhelmingly female) traveling librarians who rode their own horses or mules all over Appalachia, delivering books to remote households. The article is well worth reading in full, but at the very least check out the pictures—those ladies were tough.